This article is a follow up to yesterday’s inservice at Clearbrook. We discussed Global Projects, Using Skype, Wiki Ideas, and Geocaching and Geobugs. Wow, that was a lot of stuff! Shelia Terry from Virginia Beach was able to skype with us and talk a little about her use with Skype with her students there. She gave us some great information about skype, and send us a link to more Skype info on her wiki! We also talked a lot about some existing global projects you can join. One of the project places I highlighted was the site by Jen Wagner. I love her projects!! The other project I mentioned by name was the skype project called Mission 00 Rain about Cloudy with a Chance of Meatballs. I remember that a few of you were interested in it as well. It’s for grades 1-3, but you need to register by Oct. 10! Finally, we did some geocaching and talked about geobugs. In case you all are interested in geocaching for fun, the geocaching site is www.geocaching.com. You can create an account for free, and download the locations of caches to many types of gps units. The newer ones for cars will even let you do this. It’s tons of fun, and they are EVERYWHERE…so it’s also great for family trips or vacations. If you and your class want to track the Big Lick Geobug, here’s it’s story. Want an easy back to school activity that will help you begin to know your students? Try Wordle! Here’s an example of an About Me activity using it. Please remember to use only first names if you do this with your students. Finally, you may want to check out Jen Wagner’s Guess the Wordle Wiki. There she posts different Wordles throughout the week, and students are encouraged to guess their subject using the words in the Wordle (Monday is an easy wordle, Wednesday is a little harder, Friday is the hardest). She will also be adding a Thursday Wordle that will be about a book (librarians, this might appeal to you)! If you have never used Wordle before and would like some help as you explore it with your students, please contact me! Looking for a way to bring real-world learning into your classroom with projects? Well, there are tons of things you can try out this year, from a small, one-time project, to a year-long project. Some contain extensive use of technology while others have very little. I’ve found some great ones recently I just had to share with you…I’m looking for classrooms willing to try one or more of them out! O.r.e.o. (Our Really Exciting Online) Project 2008! Could be completed in 1 or 2 class periods, but includes enrichment ideas to take it further. 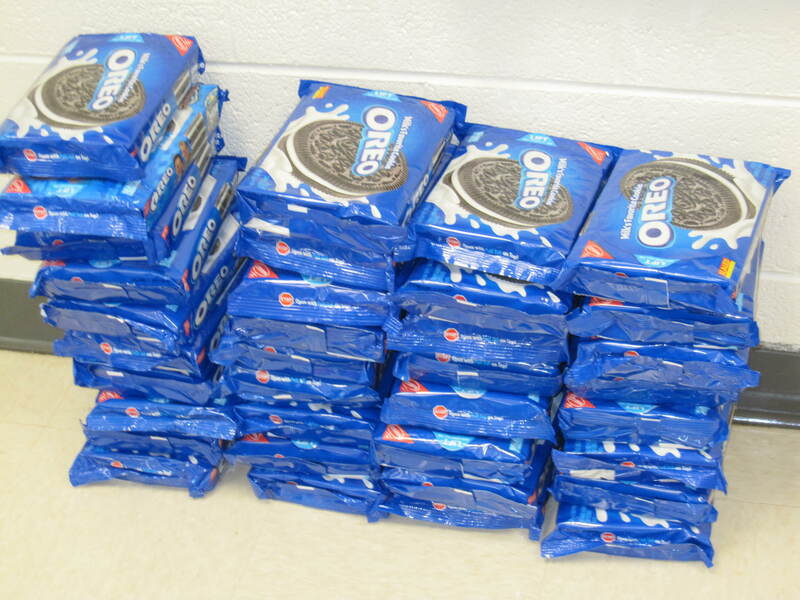 Entails stacking Oreo cookies and comparing results from around the world. Runs all year long with a picture and a writing assignment once a month. Teachers will learn to upload digital pictures to a picture sharing site. Students take a picture from a window in the classroom/school once a month and write about what they see. The share their pictures from classes around the world to see how seasons vary. Runs from Nov. 1- Dec. 20. Contains a variety of activities to go with the Gingerbread Man story, most of which require only a little bit of technology skill. For older grades, Storychasers might be a fun way for your students to improve their writing skills while learning more about their families and community. It is described as “a multi-state (and potentially multi-national) educational collaborative empowering students and teachers to responsibly record and share stories of local, regional and global interest as citizen journalists. There are a variety of types of stories your students can collect, including biographies, careers, and (the one that REALLY caught my eye) ghost stories. Would like to do this project around October. Will take at least 3-4 class periods. Students will collect and share local ghost stories via a podcast or digital story. I’ll be really actively involved in assisting with this project in my schools, especially when it comes time to record and share stories. This project is open to 4th Grade Classrooms in Virginia. It meets 4th Grade Virginia Studies SOLs and Writing objectives. This project will run from Oct. 1-April 24, 2009. Registration is open now until Sept. 29!! Students will collaborate with other 4th graders across Virginia to describe, compare, and contrast regions. They will use a Wiki, Google Maps, and possibily other technology tools. This project is being coordinated by a group of ITRTS, including myself. I’ll be activly involved in assisting with this project. If you teach 4th grade at one of my schools, I’ll be bugging you about this very soon! Will be open to all grade levels. Great for habitats, ocean animals, camoflauge, and other topics. Students will formulate questions, as a class and in collaboration with other classes, to ask Meg Swecker. Meg will be embarking on a scuba diving expidition, and will answer the questions using actual pictures she’s taken underwater. I’ll be happy to help teachers in my school learn to use Voice Thread and assist you with recording your students questions. As you collaborte with other classes to create questions for Meg, I’ll help facilitate that for you. More info to come as Meg plans her next trip! This is a project is in the piolot phase and will be open to 3rd graders in select Salem City, Roanoke County, and Roanoke City schools. G.W. Carver and East can participate! 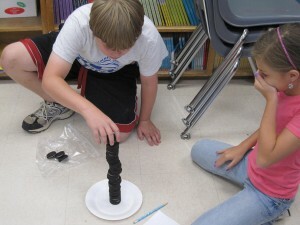 It will target Math and Science SOLs skills with Mill Mountain Zoo activities. More info to come! Let me know if you work with 3rd graders at one of my schools and are interested.